Happy pre-Fourth of July weekend! As many of you know, we've had a really busy week over here—we got back from Maine (how is there always SO MUCH laundry after camping?) and then jumped right into celebrating Dave's second birthday. So many of you messaged, commented, and emailed us to wish Dave a happy birthday and we were so touched by all the kindness! Thanks for celebrating our little weenicorn with us! Thinking this remote vet service sounds like a great time-saver. Appreciating this round-up of dog-friendly ice cream alternatives. Loving the new PUPSTYLE x Cali Crowns' collab. Seriously enjoying this Daily Mail article about California's new ultra-luxe dog hotel. Loving this cute corgi art. Eyeing this tiny sausage dog necklace. Dying to buy Dave this bright flamingo hoodie. 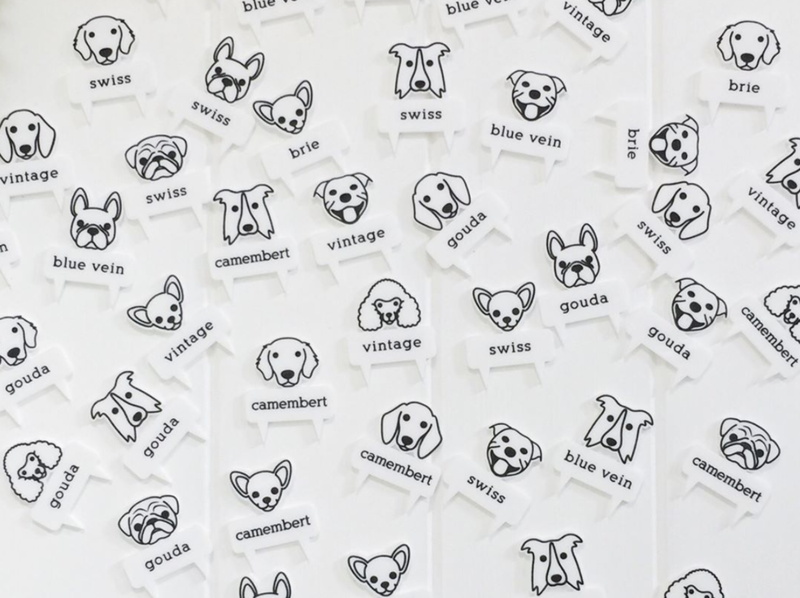 Bookmarking these dog breed cheese markers for our next party. Leaving a PSA that it's not too late to shop some of the items in our Pawtriotic Picks round-up. Happy Fourth!